The team at Scotchman Industries is constantly researching and developing new ways to make their hydraulic ironworkers more efficient and user friendly. Just released, 3 new options now available for current ironworker models. Light up your Scotchman ironworker with their NEW LED work lights! These low profile LED work lights are available as an option on all current models of hydraulic Ironworkers. *All work lights are currently factory installed, but Scotchman’s engineers are working on a retro-fit kit so this option can be added to existing machines in the field. Contact them to see if a retro-fit kit is available for the Scotchman in your shop. 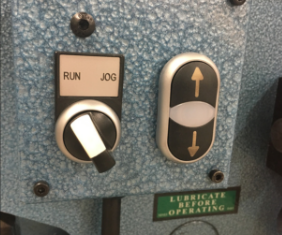 The jog control feature is now available as an option on both of Scotchman’s 50-ton ironworkers. Why should you consider adding a jog control option? Adds precision when setting the stroke control. Helpful to align & position tools accurately. Useful when doing machine maintenance. 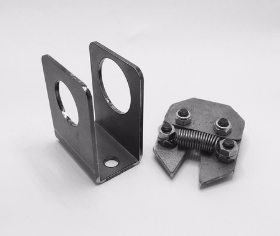 Scotchman’s team of engineers have created the Snap Ring Removal Tool to make that tedious task quick & easy! 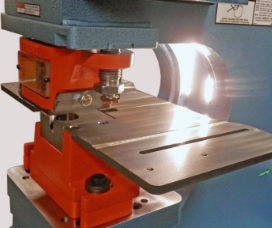 This tool is sold separately or included with a purchase of a #20 Punch and Die Package! Next articleNew hyperMILL® 2019.1 CAD/CAM Suite Offers Expanded Finishing Capabilities, Process Optimizations and more.